Let's face it. Life on a farm that raises...water...can get kinda boring. 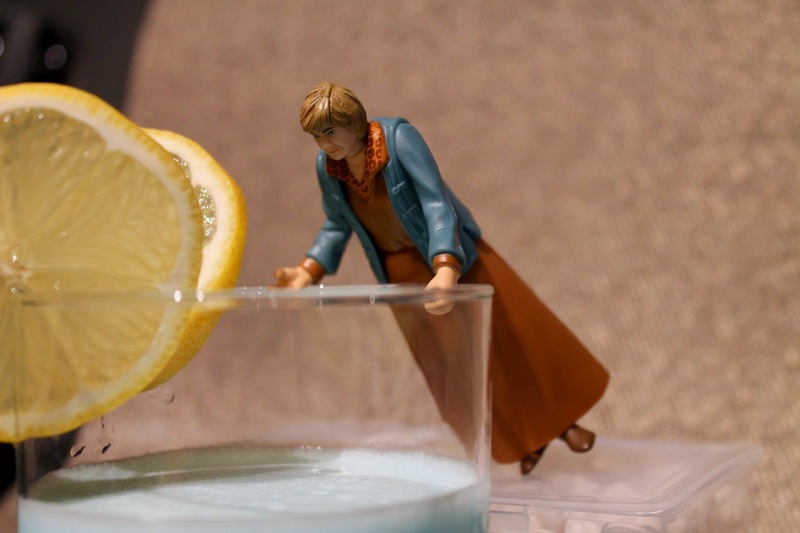 It's a life Aunt Beru is used to. After all, she was born and raised on Tatooine by moisture farmers. 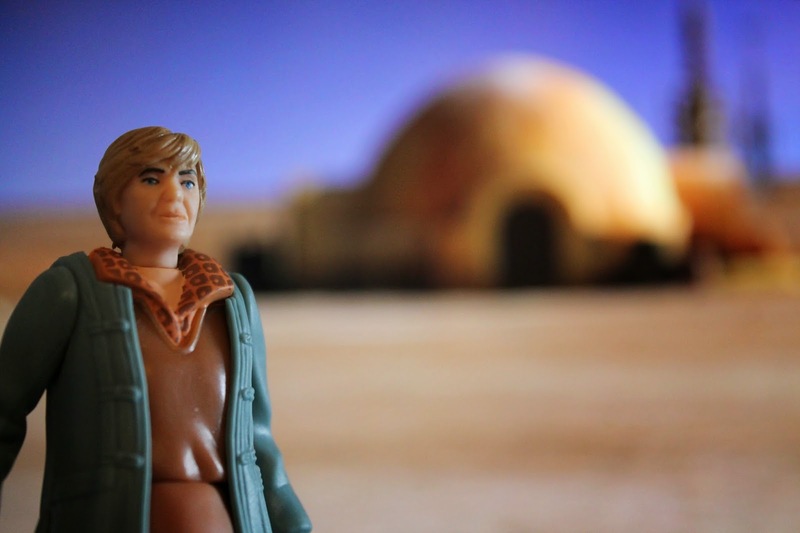 So she knew what she was getting into when she married Owen Lars and they moved to the homestead with the igloo entrance where they farmed water and raised her husband's step-brother's son Luke. Life as a moisture farmer's wife is often thrilling. Or not. But just because you're used to a quiet life doesn't mean you can't live it up occasionally. 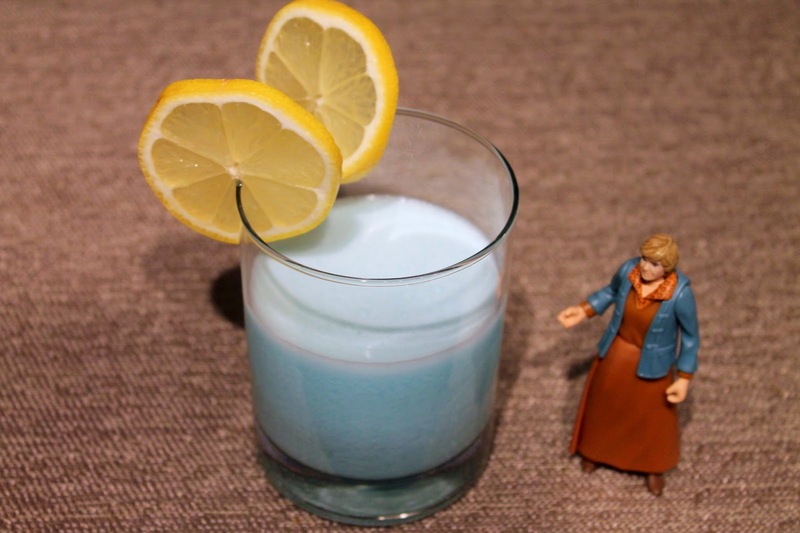 That's exactly what Beru does sometimes with her blue milk. Although it's quite refreshing in its natural cold state, it's even better spiked with some exotic liquors (that, from her perspective, come from a long time from now in a galaxy far, far away, but we'll just ignore that fact for now). 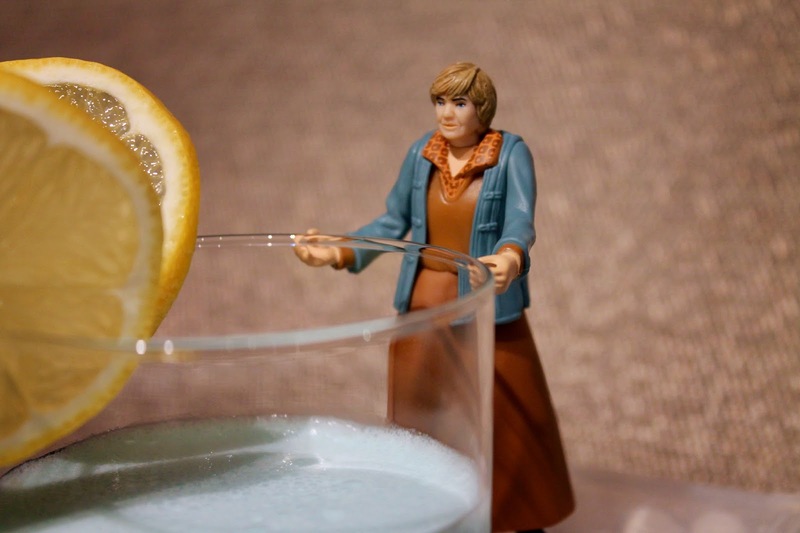 Sometimes she'll make up a big batch and have all of the Lars' farmer friends from here to Mos Eisley lined up for a taste of Beru's Blue Milk Brew. And occasionally, she has a few too many herself. Stand back when that happens! 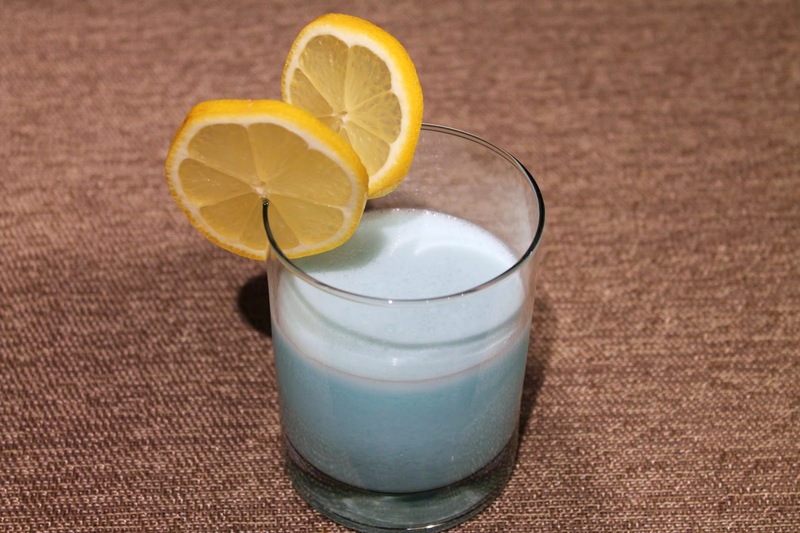 Seriously, I made this drink in honor of today, Star Wars Day. Because I needed to use blue curaçao to make the drink blue, I used other tiki ingredients that give this drink a refreshing tropical bent. Half-n-half makes it creamy. For the garnish, I used two lemon wheels to represent the twin suns of Tatooine. Cheers! May the Fourth be with you. Combine rum, falernum, blue curaçao, simple syrup, lemon juice and half-n-half in a cocktail shaker. Add ice and shake until very cold. Strain into a rocks glass. Garnish with two lemon wheels. 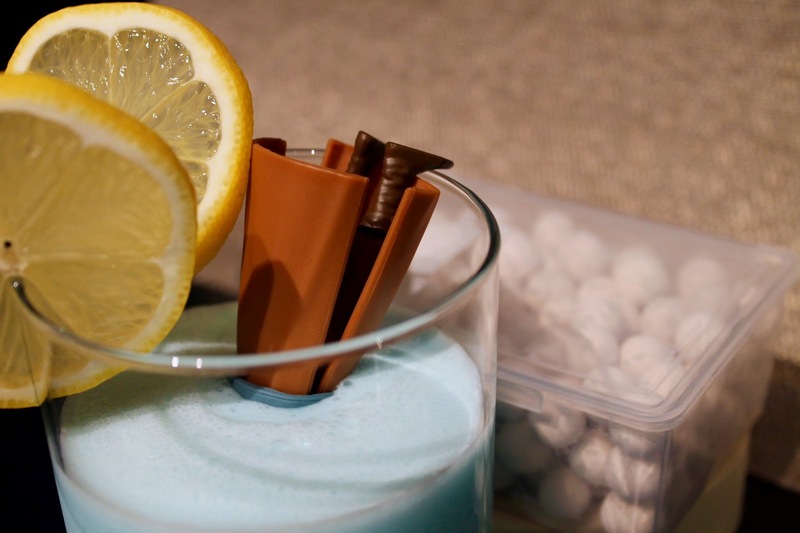 This needs to be in the official Star Wars recipe book (if there is one). Ha! Thanks. That would be a great book.